Lots of "real" readers writing in to the author about The Folded Earth, which is always the best part. One reader wrote: "Just finished both your books back to back. They have left me with a tingling feeling. A very special chord was struck and somewhere along both the writings I drew parallels with my life and that I think put words into a lot of my feelings and actions. " 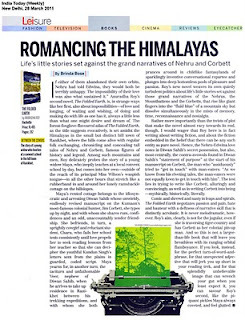 Bill Aitken, writer and Himalayan wanderer wrote to say, "I find your writing superlative. I particularly respond to the moving depiction of the hill characters, especially your tender treatment of the village women... 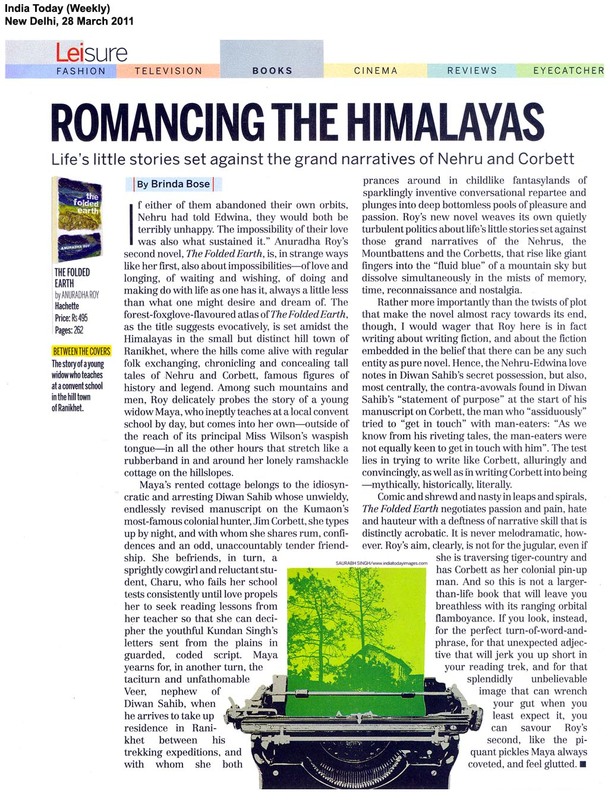 I suspect this book will end up alongside Corbett's as a Kumauni classic." Some reviews too. Mint Lounge here. And India Today here. The book's in its second week in the bestseller list. Let's see how long it survives there.